Everybody knows about hydrogen peroxide. It’s been a staple in medicine cabinets and first aid kits for generations. Using it to clean and disinfect is a standard part of the drill when dealing with minor cuts and scrapes. 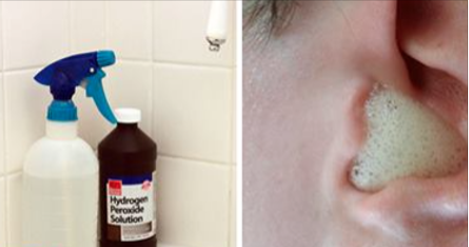 As it turns out, though, most people don’t really know hydrogen peroxide at all. In addition to being a medicine cabinet staple, it deserves an honorary spot among the cleaning supplies as well. And it has other uses beyond that, some of which are so unconventional that they strain the imagination. In fact, there are so many different uses for hydrogen peroxide that a full list required four different categories: General Health, Hygiene, Cleaning and Miscellaneous. That made it possible to come up with a total of 50 uses, all of which showcase the usefulness and versatility of hydrogen peroxide. Although it looks like water, hydrogen peroxide is much more different in content and is richer in oxygen. If brought to a boiling point, hydrogen peroxide is bound to explode. In households around the world, a milder and more diluted version of hydrogen peroxide is used. The general chemical we use at home is normally present from 3 to 5 percent. When we cut ourselves and pout hydrogen peroxide on the wound, the solution actually releases oxygen molecules and, thus, the bubbling appears. Note: The majority of these uses refer to a 3% consistency of hydrogen peroxide. Also, the abbreviation ‘HP’, found throughout the list, stands for hydrogen peroxide. 1.) Destruction of viruses – to do this the best way, place three drops of 3 percent HP in each ear. Let the solution act for 10 minutes, and then drain it from ears. According to experts, this method enables easy prevention against flu and cold. You will also get rid of the ear wax as well. 2.) Elimination of pesticides – to protect your vegetables from holding pesticides used in their growing process use about ¼ a cup of HP. Place it in a bowl together with 3 cups of water. Soak your vegetables in this solution for half an hour. Afterwards, rinse well and place them in the fridge. Make sure your vegetables are healthy and whole, to prevent HP from soaking inside the product. 3.) Kills off airborne germs – to do this best, use humidifier and mix 1 pint of 3 percent HP together with 1 gallon of water. Add mix to the humidifier and let it soak properly. The mixture’s content will neutralize airborne germs effectively and will bring great antibacterial properties. 4.) Teeth whitening – HP is contained in almost all whitening products you use at home. Through oxidation, it will give your teeth shine and bling instantly. Brush your teeth with your regular toothpaste. Then, mix 2 teaspoons of water with 1 teaspoon of 3 percent HP. Gargle with liquid ell for one minute, without swallowing. Spit out the mix and rinse mouth with water. Repeat three times a week. 5.) Lightens toenails and fingernails – Soak nails in 3 percent HP and hold for some time. When done, rinse well and admire the results. 6.) Hair bleacher – HP acts as a milder version of other recommended hair bleachers. Use it as you would use any other bleaching product to get top results. 7.) Hair locks highlights – use HP on damp hair by spraying it and you will get light and fresh highlights. Keep spray on for 15 minutes before rinsing it. 8.) Body detoxification – just dip into a bath with HP in it. Take 1 cup of 35 percent HP and place it into a tub of water. Lie in the bathtub for 30 minutes and then shower as per usual. 9.) Sinus cleanser – whenever you are having sinus problems, you can clear them with HP. Just mix 1 cup of water with 1 cap full of HP. For more stuffed sinuses, use more concentrated HP solution. 10.) Relieve toothache – toothaches can be dealt with by using HP as a remedy. Prepare a mixture of HP and coconut oil and gargle with the mixture. This mix contains plenty of antibacterial qualities which soothe tooth discomfort quickly. 11.) Wound cleaning and disinfection – this is especially beneficial for small wounds, which can be cleaned with 3 percent HP. You need a small cap of the liquid that you can directly apply on the wound. 12.) Mouth rinse – aside from your teeth, HP can keep your mouth clean from bacteria and infections. To do this accordingly, gargle with 1 cup of water mixed with 2 caps full of HP. 13.) Skin cleanser – treat acne and get glowing skin by washing your face with a 3 percent HP. Tis will clean the pores, the existing acne and will prevent new acne from appearing. 14.) Eliminate boils – In a bathtub, pour only one cup of 35 percent HP. Soak in the tub to get rid of boils forever and regenerate the skin as well. 15.) Treats calluses and corns – to soften calluses and corns and destroy them for good, mix equal parts of HP and warm water and soak in it. 16.) Removes earwax – hidden earwax is more persistent than outer wax, but you can successfully deal with it by using HP. Pour 2 drops of HP in each ear. The, add a few drops of olive oil in each ear as well. After a couple of minutes, drain liquid from ears and the wax will come out together with the HP. 17.) Protection from swimmer’s ear – this ear infection is very common and unpleasant. Prepare remedy by mixing 1 cap of HP with a little vinegar and pour in a small container. Put a couple of drops in each ear after swimming, and you will prevent infections completely. 18.) Cure ear infections – if your ear is already infected, apply 8 drops of HP to in it. 19.) Get rid of skin mites – HP can help you deal with skin mites in no time. Spray HP on affected skin and repeat treatment, wait a few minutes, and then repeat process. 20.) Helps with foot fungus – prepare a mixture of HP and water. Keep liquid in a dark glass bottle, so the HP isn’t in direct contact with the sunlight. Apply mix to fungus directly. For best results, mix equal parts of 3 percent HP and water. 21.) Meat, fish and poultry marinade – as strange as it may sound, this actually works. Place these products into a casserole with equal parts of water and HP in it. Cover casserole lightly and store in fridge for half an hour. Rinse foods before cooking for best results. 22.) Mushroom cultivation – HP can be used to grow oyster mushrooms in the fridge. Take 1 gallon of diluted HP and freezer bags. Oyster mushrooms require about 6 months in order for them to grow with this method. 23.) Clean toothbrush – for best oral hygiene, you can use HP to clean your toothbrush. Soak toothbrush into HP and all bacteria will be killed immediately. 24.) Stain remover – fabric stains, especially from blood are successfully removed with HP. Apply directly on stain, let it act for one minute and clean with cold water. Repeat if needed. 25.) Clears fungus from aquariums – To keep your aquarium clean, HP is the best option. Suitable directions for use can be found on the internet, since you need to keep in mind not harming the fish. 26.) Keeps your pets healthy – if your pet is having problems with vomiting certain foods or swallowing objects, HP can soothe their stomach effectively. What it does, is it forces the pet to release all suspicious food or swallowed objects through throwing up. 27.) Dishwashing – if you are out of detergent, HP will get the job done. It may not be as effective but it is quite handy. Also, you can prolong your dishwasher if you mix it with HP and use it as such. 28.) Household cleaner – you can use HP to clean almost everything in your home. It is cheap, clean and quick to apply. You can keep it in a spraying bottle and use it on a daily basis. 29.) Contact lenses cleaner – soak contacts into a diluted solution of HP and leave them overnight. This will shine them right up and get them ready to use the next day. 30.) Bleach laundry – white fabrics do not stay perfectly white forever, so you can try HP to keep them clean and spot-free. Add 1 cup of hydrogen peroxide to the wash and let the laundry soak for 30 minutes. Afterwards, wash clothes as per usual. 31.) 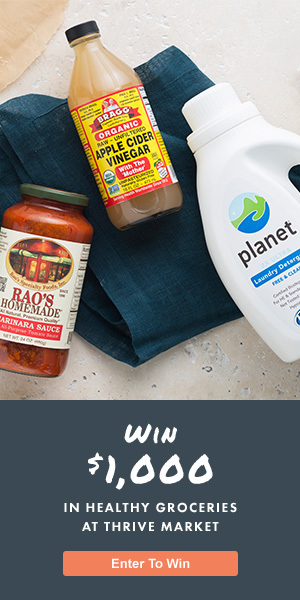 No more organic stains – anything from sweat, blood, wine and coffee can be cleaned with HP. Mix 1 part dish detergent with two parts HP and apply directly onto stains. Keep in mind that due to the bleaching properties of HP, it can lighten dark fabrics as well. 32.) Neutralizes odors – HP removes unpleasant odors especially from fabrics. Mix white vinegar and hydrogen peroxide and soak fabrics in it. After regular wash afterwards, all odors will fade. 33.) Carpet and rug washer – everything dirty on your carpet or rug can be removed with HP. If you need to lighten up your carper, the HP cleaning method is excellent. Just spray a diluted solution onto the rug or carpet. Then wash it as per usual. It is best to test wash the carpet if you do not want to bleach it on purpose. 34.) Lunchbox disinfector – as a result of stored food, lunchboxes have plenty of bacteria. To clean it, spray it with HP and wipe after several minutes. 35.) Refresh reusable shopping bags – this is really practical if you are a constant shopper and in need of clean bags at all times. Spray HP in and out of the shopping bag and rinse them with water. This will remove all odors and bacteria. 36.) Keep seeds healthy – HP can help you remove fungus from seeds and improve the germination of seeds. Soak seeds in HP before planting- this will do the trick! 37.) Clean humidifier easily – add 1 pint of HP with 1 gallon of water to it. As a natural disinfector, the HP will remove all mildew and mold and keep the humidifier in an excellent shape. 38.) Clean tiles – tiles are known to accumulate plenty of dirt, that can be removed with HP> Spray HP directly on tiles, let it act a little, them wash regularly. 39.) Toilet cleanser – pour 1/2 a cup of HP into the toilet bowl and let it act for half an hour. This is also recommended for disinfecting the toilet completely. 40.) Whitening grout – mix hydrogen peroxide with white flour and apply directly on grout. First, you need to cover grout with paste and let it sit overnight. The following day, clean grout with water and it will be whiter. 41.) Bath tub cleaner – everything from dirt to soap scum can be cleaned with HP. Spray bath tub with hydrogen peroxide and let the liquid act for half an hour. The, just wipe it off and enjoy your clean tub. 42.) No more mold – take 3 percent HP and apply on mold. You can also spray it and let it act for 10 minutes. Scrum with sponge afterwards and keep skin away from direct contact. 43.) Perfect glass cleaner – grime and dirt of glass are easily removed with HP. Spray HP, let it sit for some time, them wipe it off for best results. 44.) Kitchen and bathroom counters cleanser – spray diluted HP directly onto kitchen and bathroom counters. You can also mix it with your regular cupboard cleaner and get better results. 45.) Wash sponges and dishrags – every fabric and material soaks in a lot of bacteria and dirt. To disinfect them soak sponges and dishrags in HP for 30 minutes. Enjoy your new, clean sponges and dishrags! 46.) Disinfect cutting boards – plenty of products go on cutting boards, and bring bacteria with them. To disinfect them properly, spray HP on the cutting board and let it soak for a few minutes. Rinse regularly with cold water. 47.) Fruit washing – dirt and wax from both vegetables and fruits can be eliminated by washing them with HP. Spray them all over and rinse with cold water. This is especially good for your fruits and veggies since they are known to produce HP naturally, too. 48.) Fridge hygiene – clean your refrigerator by spraying it with HP and let liquid act for a couple of minutes. Wipe with clean towel and it will be as good as new. 49.) Burnt foods – HP is great for removing stuck foods from pots and pans. Mix HP with baking soda until you form a paste. Scrub paste on burnt areas and let it act for several minutes. Then, rub with warm water until the burnt areas are cleaned. 50.) Salad booster – to improve your salad and make it last longer, add 1 tablespoon of hydrogen peroxide to half a cup of water. Use a sprayer to refresh your salads. Keep in mind to always use food-grade HP.